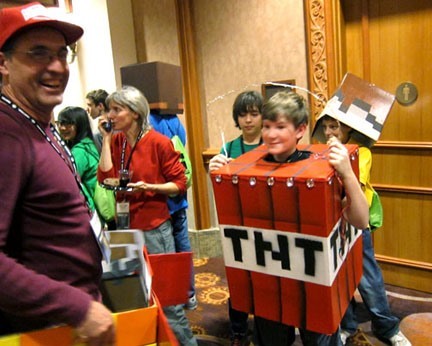 MineCon 2011 (held at the Mandalay Bay in Vegas) was in a word, awesome. The crowd was overwhelmingly young, the vibe was fun and nerdy, and best of all, the costumes were inspired. Below are my favorites, which unfortunately aren't of the best quality (lighting was low and super yellow, which wasn't helped much by my standard point-and-shoot). 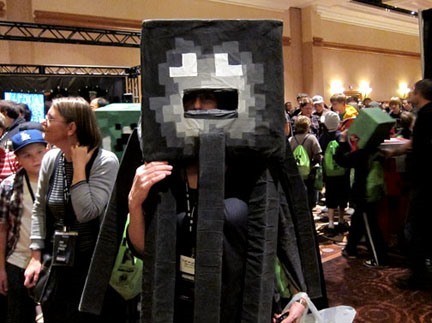 If you happened to attend Minecon as well, post about your experience to the community corkboard... if you're pictured below, please comment! 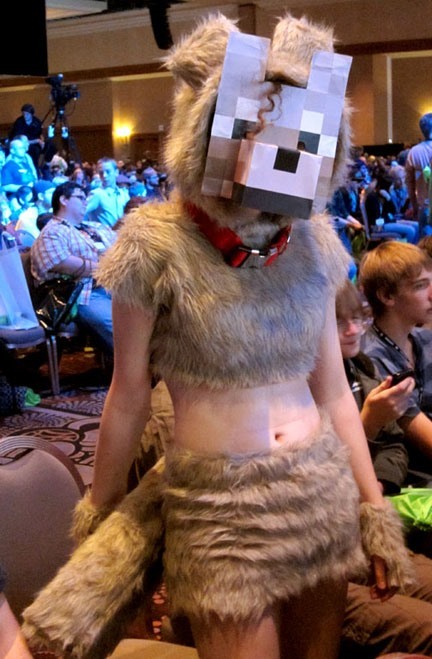 This coquettish Minecraft wolf-girl roped in first prize at the MineCon costume contest. The booty: lunch with Notch himself! 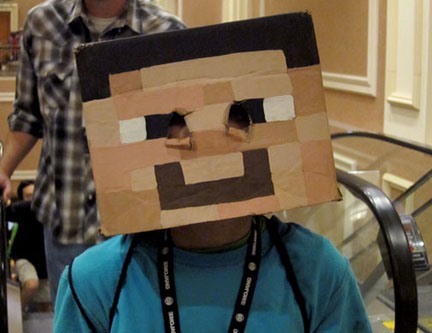 The convention was full of store-bought Minecraft heads, but my favorites where handmade. Coolest dad ever(!) 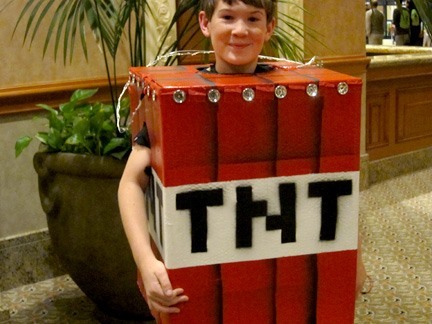 helped his son craft this homemade TNT block with real, working flickering lights. It looked amazing. One of my personal favorites, this costume was covered in shiny, reflective paper, complete with a pink bow and pink-trimmed sneakers. Awesome squid get-up, especially the tentacles. Bright and yellow, this was an impressively constructed full-body costume. 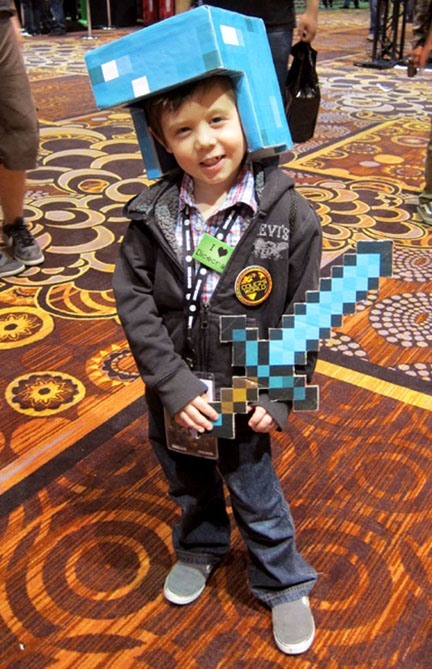 Perhaps the cutest kid I came across, brandishing his pixel-sword. deadmau5 played the second night of the convention! 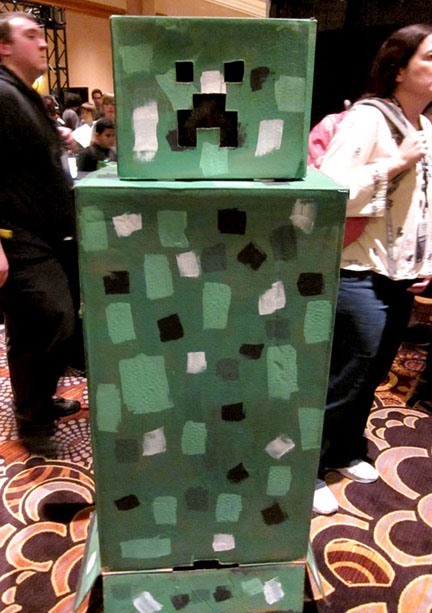 This massive creeper shuffled throughout the crowd, looking awesome. 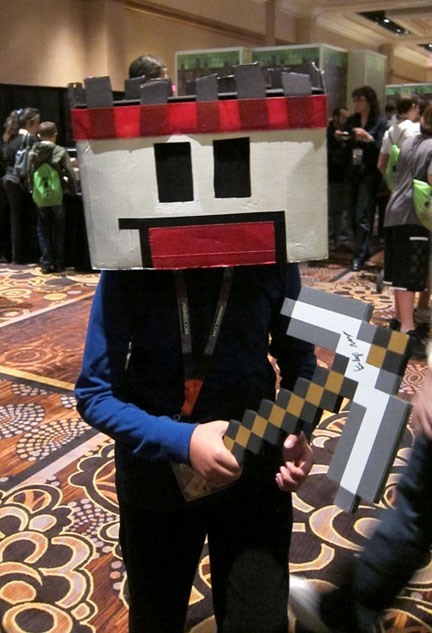 The pickaxe adds the perfect finishing touch. 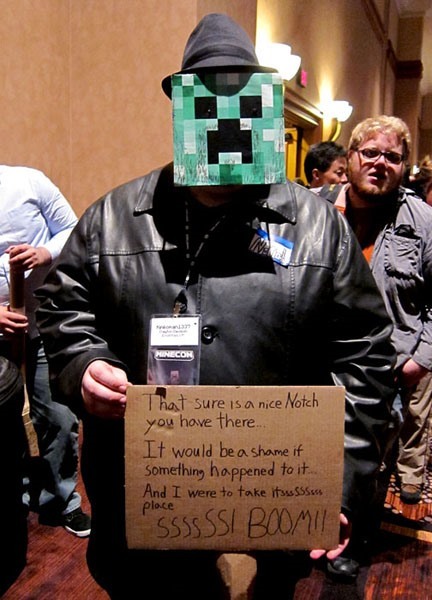 Notch look-a-like with Creeper mask. 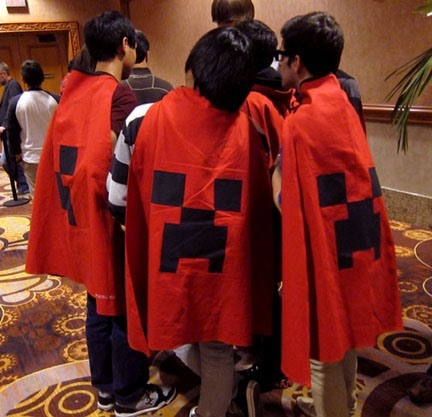 Huddled together, donning some sweet capes. 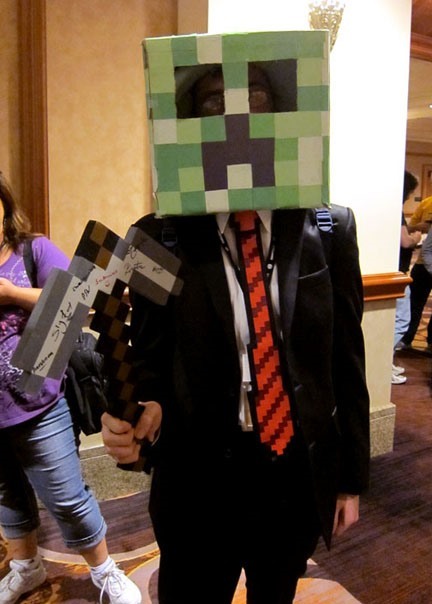 The pixelated tie makes the look. It would be amazing to see a How-To article on making one! 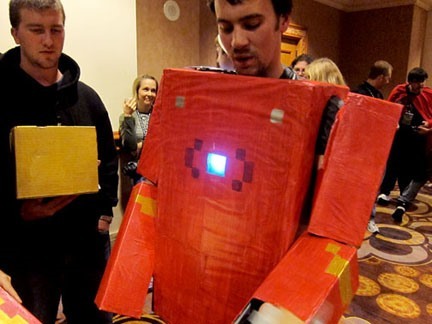 Minecraft + Iron Man = pure awesomeness. 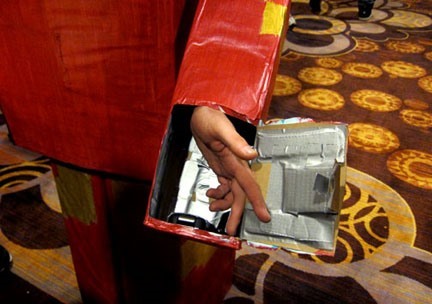 Check out the secret compartments for cell phone and wallet below. This couple posed all day long for photo-ops... and for good reason—they looked fantastic. 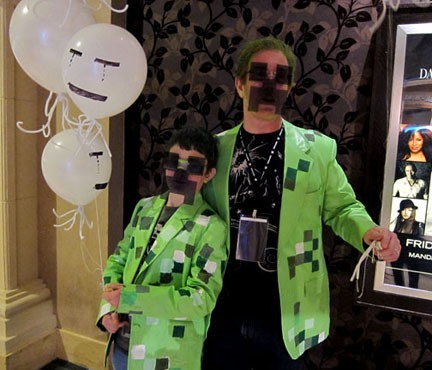 Nothing makes for better bonding time than crafting matching Minecraft blazers and masks. 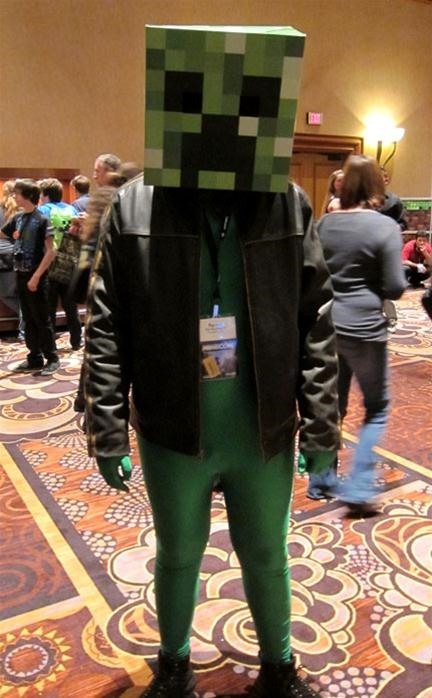 This brave creeper donned some bright green, shiny spandex. 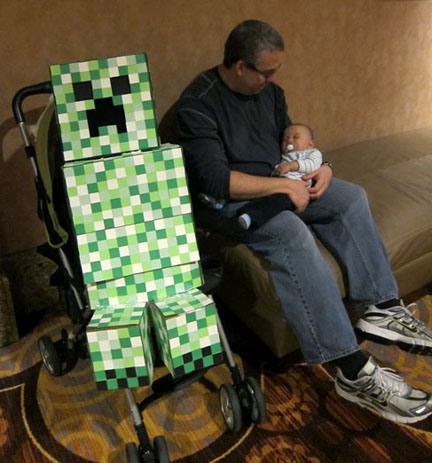 Last but not least, (another) coolest dad ever constructed this amazing motorized creeper! 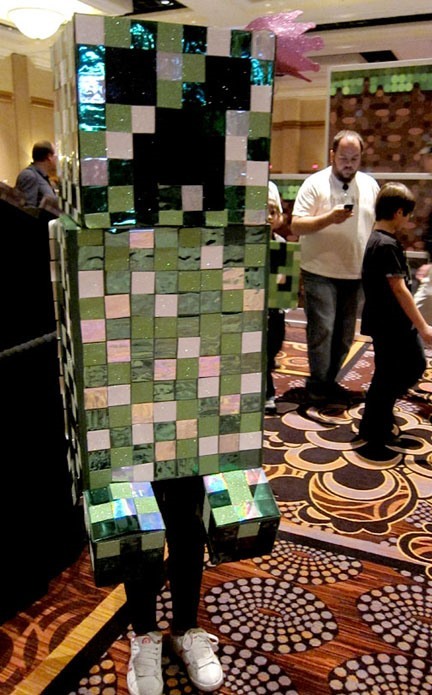 My friend made a full body creeper, but cut all of the pixels out of colored construction paper, and it looked awesome. green and black? or different colors? Like the RC one, except with a person in it. Its actually on sale right now! Those are some really great costumes! 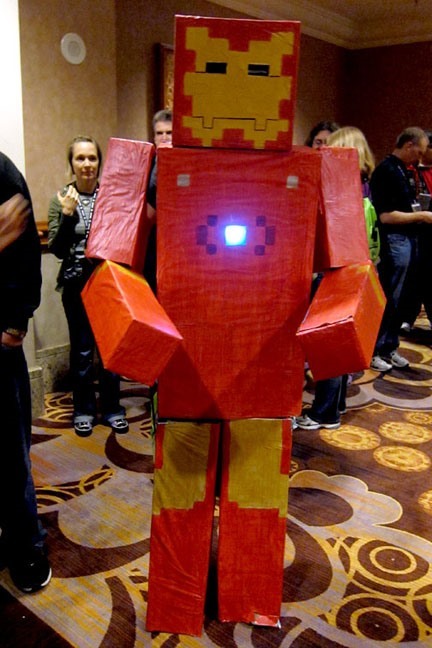 I love the iron man one! I wonder what kind of light he used. 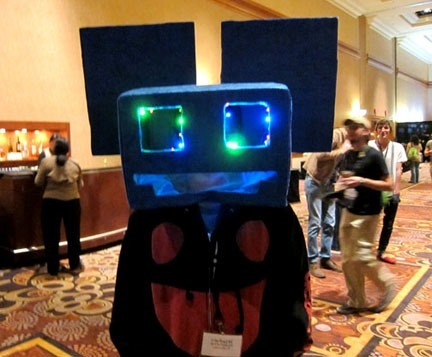 I would have trouble finding the best quality lighting for a costume like that. It turned out great though! Omg these are awesome! OzComicCon is this weekend and I'm making a costume consisting of legs, arms and head but my body will be my body. 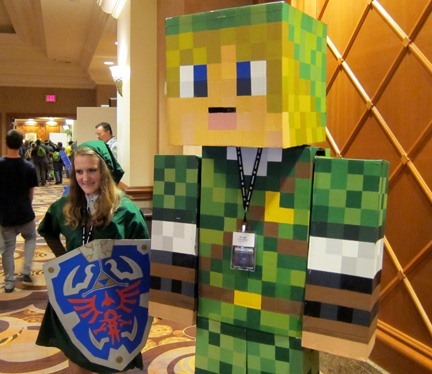 I'm going to go to eb games and get a sword and/or pickaxe to carry. 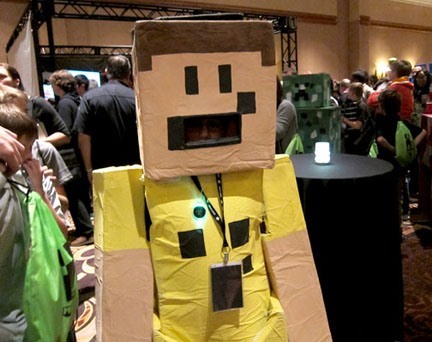 My costume is to scale and will be 1 minecraft square on a skin is equal to 1 6cm square on the costume. 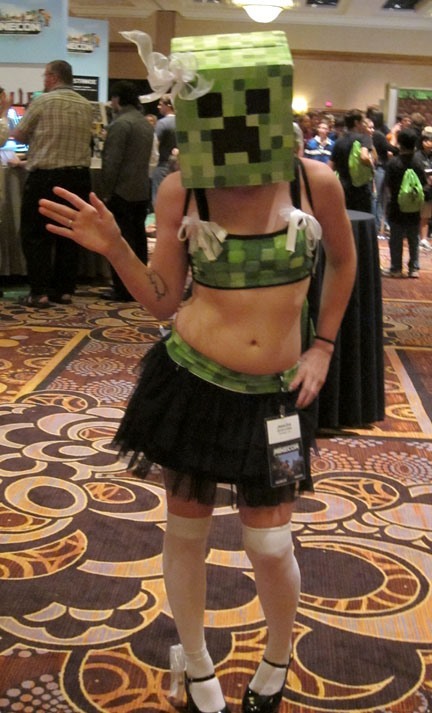 The coolest part is, it will be a minecraft mirror of what I am wearing underneath! If anyone is going to OzComicCon Melbourne this weekend, hi!